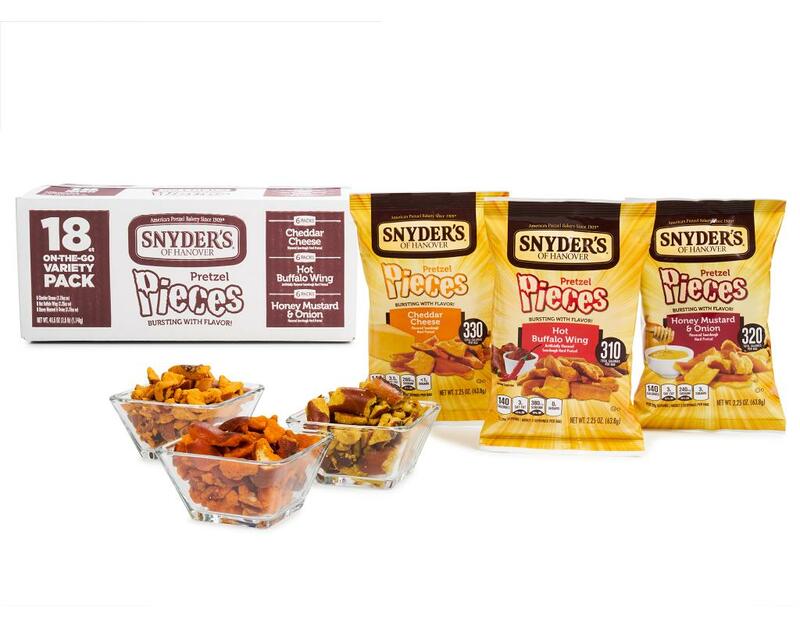 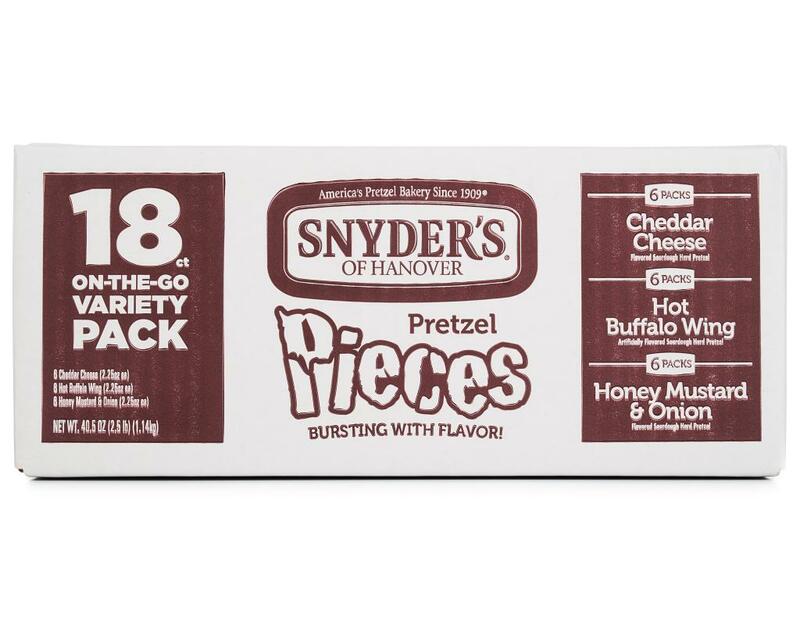 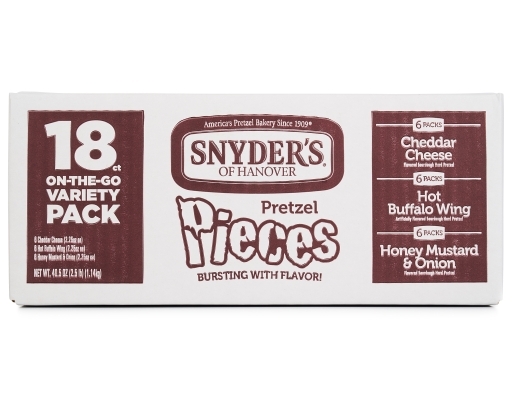 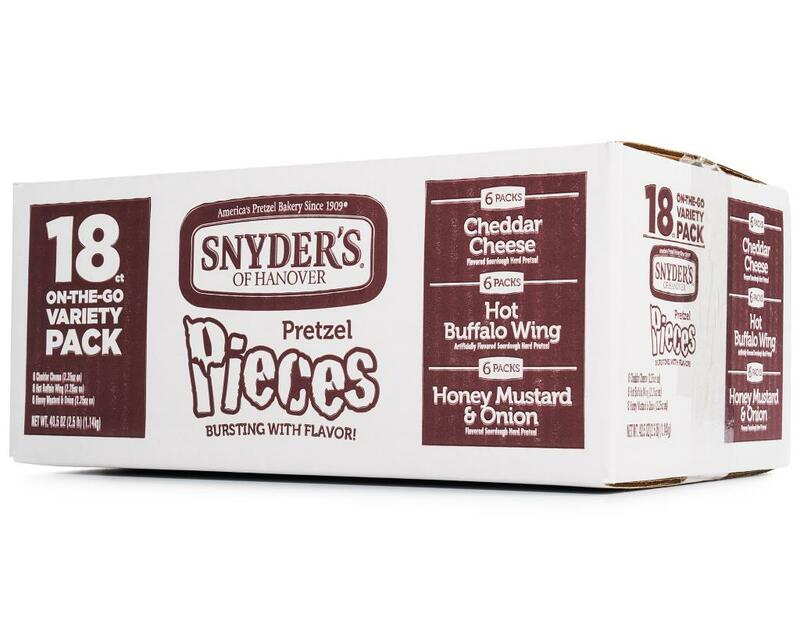 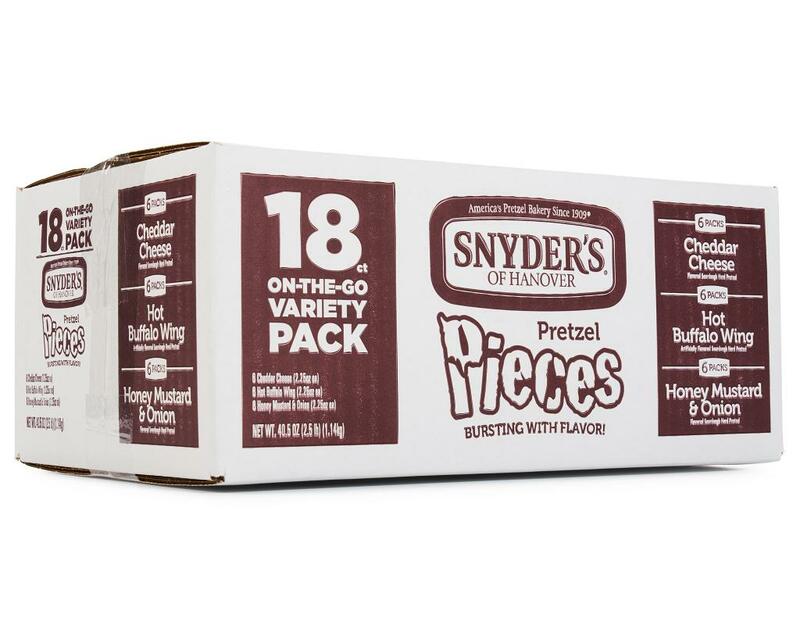 Give yourself a break with Snyder's of Hanover pretzel pieces. 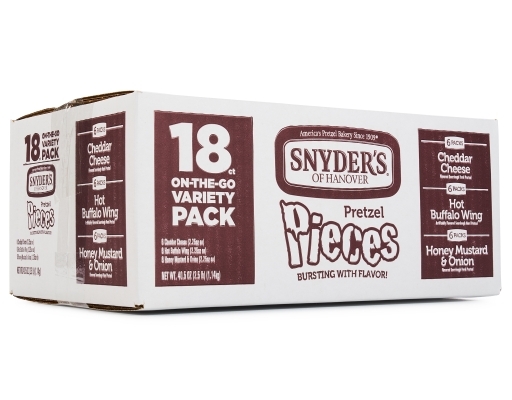 Small bits of your favorite pretzel, delightfully coated with extraordinary flavor! 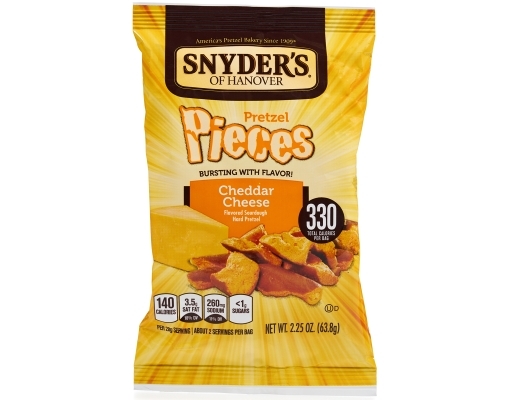 Enjoy generous chunks of Sourdough Hard Pretzels bursting with intense flavor combinations...like the authentic taste of Cheddar Cheese Pretzel Pieces, Hot Buffalo Wing and Honey Mustard & Onion. 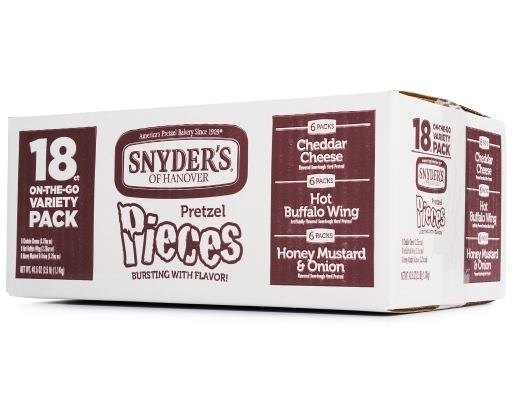 6x Cheddar Cheese: Authentic Cheddar Cheese Flavor! 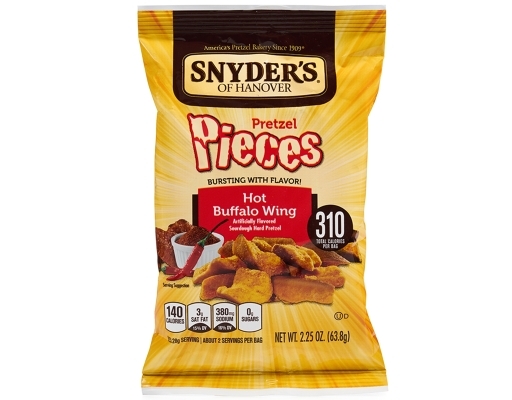 6x Hot Buffalo Wing: Spicy flavor of hot sauce seasoned with cayenne peppers and paprika. Because if you like the red-hot taste of real, five-alarm buffalo wings, you'll love these bite-size Hot Buffalo Wing Pieces! 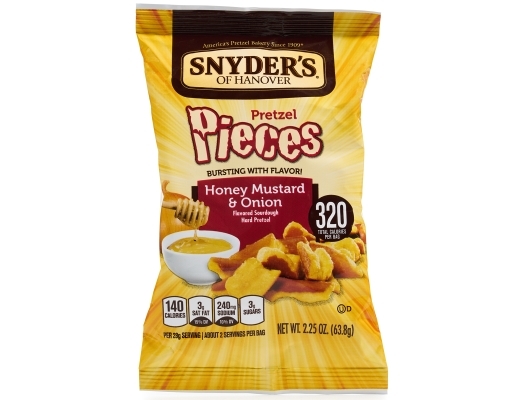 6x Honey Mustard & Onion: Delectable honey mustard and onion in Honey Mustard & Onion Pretzel Pieces. 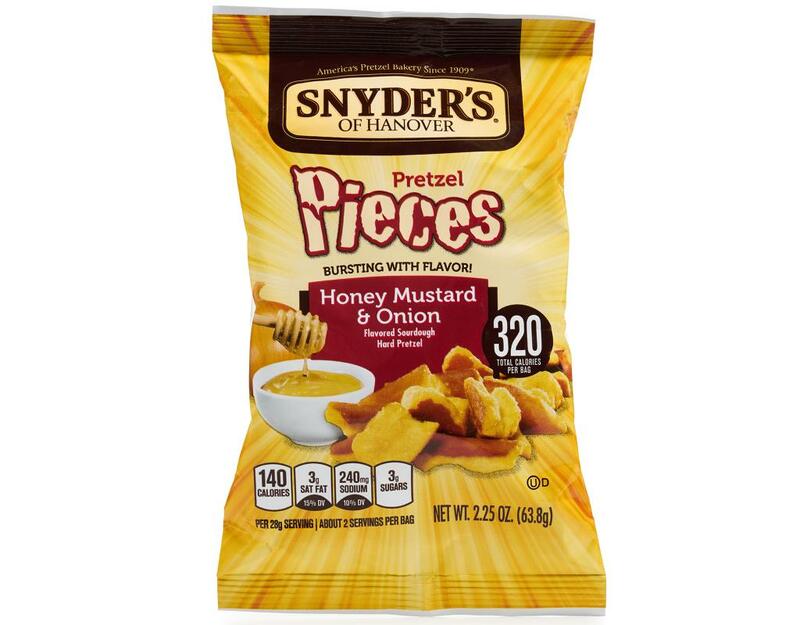 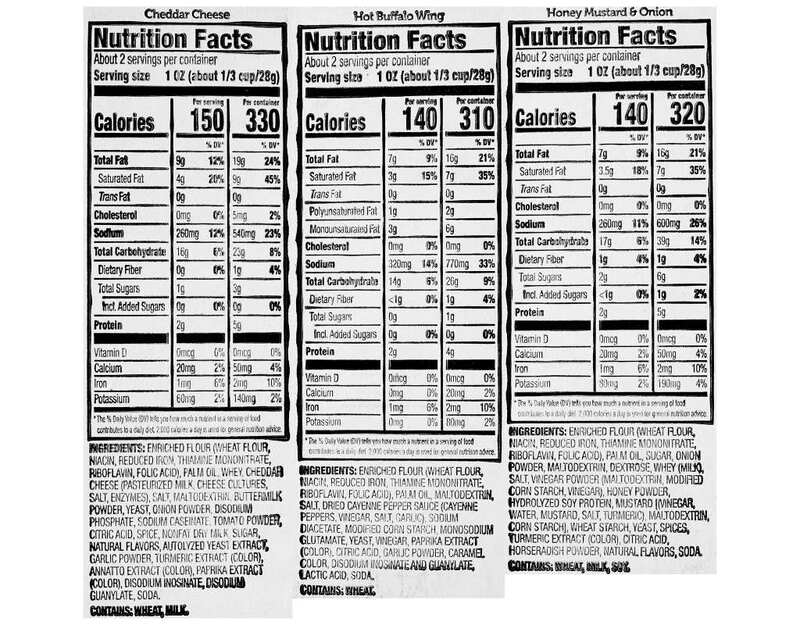 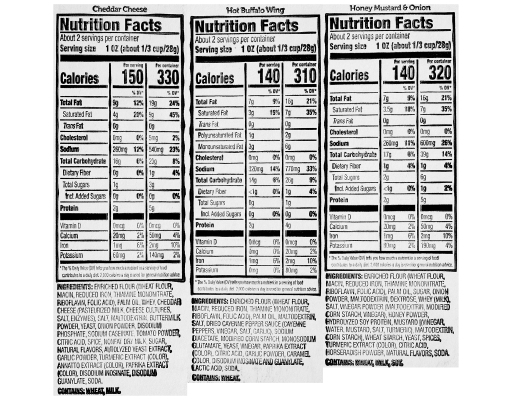 Honey Mustard & Onion: Enriched Flour (Wheat Flour, Niacin, Reduced Iron, Thiamine Mononitrate, Riboflavin, Folic Acid), Palm Oil, Sugar, Onion Powder, Maltodextrin, Dextrose, Whey (Milk), Salt, Vinegar Powder (Maltodextrin, Modified Corn Starch, Vinegar), Honey Powder, Hydrolyzed Soy Protein, Mustard [(Vinegar, Water, Mustard, Salt, Turmeric), Maltodextrin, Cornstarch], Wheat Starch, Yeast, Spices, Turmeric Extract (Color), Citric Acid, Horseradish Powder, Natural Flavors, Soda.